They were my biggest disappointment in a long time. 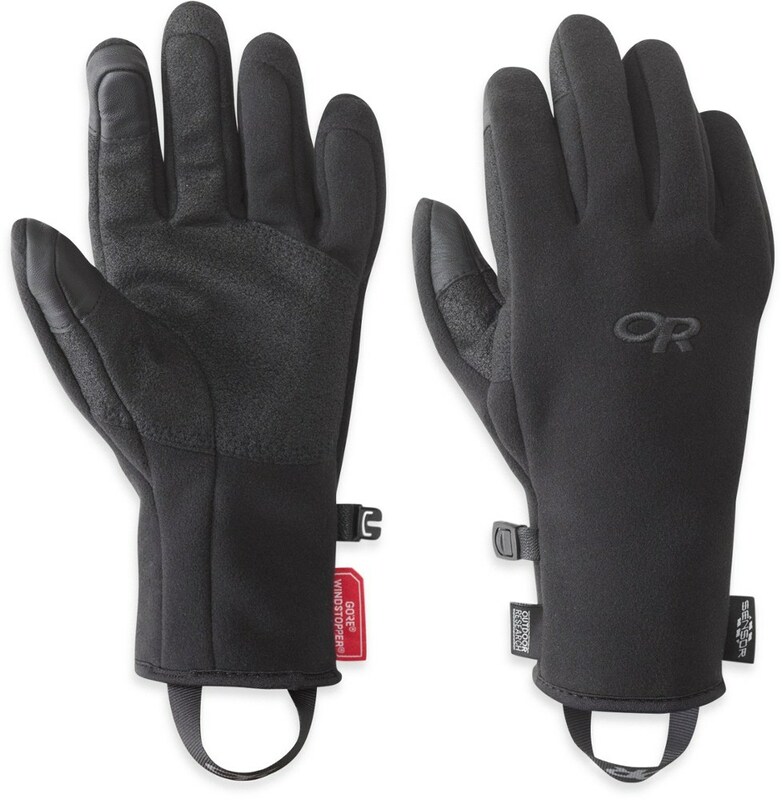 Fit & Comfort: These gloves started off great. They kept my hands warm while outdoors and allowed me to check my phone without having to de-glove. Sadly however, they began to stretch and lose their fit after a couple weeks until they felt awkward to wear. The only way to gain any use form them now is to wear a thin pair of gloves underneath. Warmth: Very little warmth was provided with these gloves. With the permanent stretch and loose fit, they can no longer keep my hands warm on a cool evening. 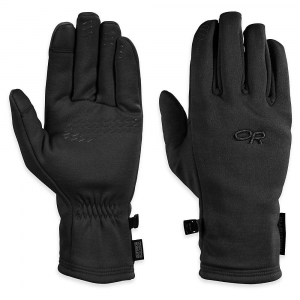 Abrasion: These gloves are not abrasion resistant at all. They pick up burrs in the bush and snag on any prickly material, including velcro. This makes them very susceptible to abrasion. Features: The touchscreen function started off great; however, this slowly began to fail after a couple weeks and 2 months later it no longer works. Construction & Durability: Tears appeared in the gloves within the first month between the index finger and thumb on both hands. This was prior to any outdoor pursuits. These tears were produced from driving to and from work. 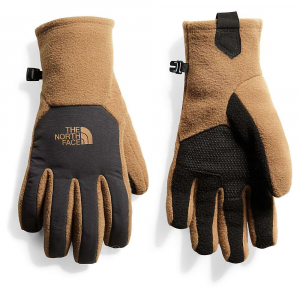 Conditions: These gloves were purchased at the end of the winter this year (late February 2013) and have been used for a month this winter in November. In total they have seen 3 months of use, a mixture of driving, general activities, and running. Nothing out of the ordinary has been asked of these gloves. Finally, i'm able to use my iPhone without having to take off my gloves! 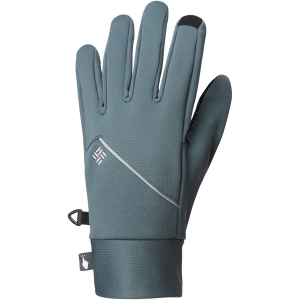 I found these gloves at the Marmot outlet in San Francisco. 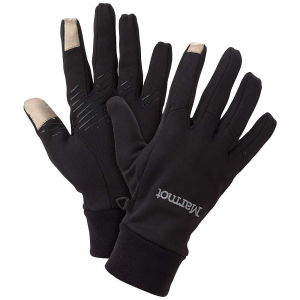 I've been wearing another set of softshell Marmot gloves for years and have always loved them. I know that companies have had touchscreen friendly gloves for a while but i'm just late to the game I guess. So these gloves do work. They have a silver goldish material that allows our fingers electrical field to pass through the glove and trigger our device's screens. They are comfortable and seem to be pretty well made. My previous set of softshell gloves were starting to pile, but they're still holding up pretty well, I'd assume the same for these. 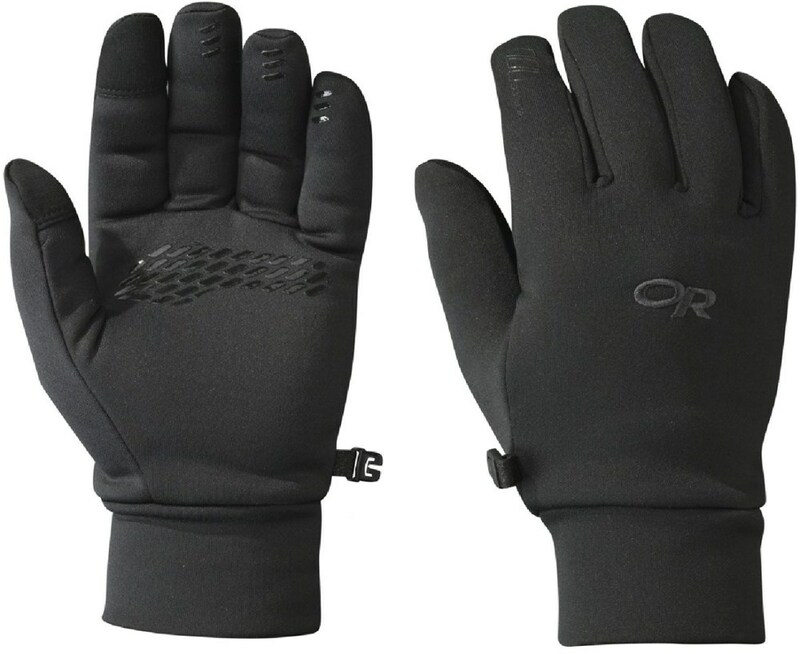 These are definitely cool weather gloves vs cold weather. They're very thin but will help keep your hands from freezing if you're only removing them from you pockets for brief moments. My only complaints are that the sizing for my hands is a little off. 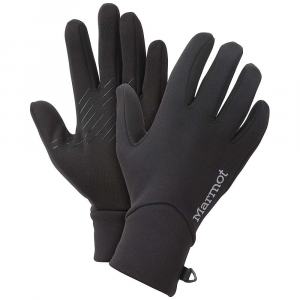 My other set of Marmot gloves were size Large, but with these I'm wearing a small. Albeit, a touch snug, but compared to the mediums, much better. There's no way the mediums would work, they were way too loose. Also these gloves are a bit too flashy. I guess the touch portion has to be that shiny material but they also have this power button logo on the index finger and its molded in this grippy rubber coating (the kind you'd find on football receiver gloves). More of this coating is placed in the palm of the glove. That part I don't mind so much. There's a pretty obnoxious techno EQ style pattern all of the glove too. Overall I'm very happy with my purchase, I wish the gloves fit a little looser but they're stretch out just a bit I think. I'm just happy to be able to keep my hands warm and not have to remove my gloves just to use my phone or take a picture etc.